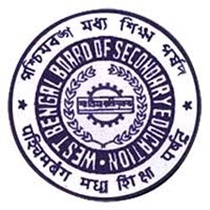 West Bengal Madhyamik Admit Card 2019: West Bengal Board of Secondary Education (WBBSE) has scheduled the Madhyamik/10th class exams from 12th February 2019. All the students pursuing 10th for the academic year 2018-19 can check the examination Routine clearly from the West Bengal Board of Secondary Education official website, wbbse.org. Students can prepare well for the class 10th exams as there is very much less time left. Before going to attend the West Bengal Madhyamik exams 2019, students must download WBBSE Madhyamik admit card 2019 from the official website. The admit card/call letter is the most required document to appear for the exams. Hence students appearing for the West Bengal 10th exams must download hall ticket before proceeding for the exams. West Bengal Board of Secondary Education (WBBSE) was established in the year of 1951 by the state government of West Bengal. This board focuses on educational development in the state of West Bengal. The board offers secondary education in the state. Every year lakhs of students obtaining the class 10th/Madhyamik under this board. The WBBSE organizes examinations in the months of February/March months and releases the results in April/May months. Students who are presently undergoing the Madhyamik in West Bengal state can get ready for the Madhyamik/class 10th academic exams which are going to be held in February month. All the students going to appear for the West Bengal Madhyamik academic examinations 2018-19 can download the hall tickets from the WBBSE official website, Wbbse.org. The hall ticket/admit card is going to be released on February 2019. Students can download WBBSE 10th admit card 2019 from WBBSE official website, wbbse.org and preserve them safe to carry to the examination. Go through the admit cards clearly after downloading. If any printing mistakes appear in name, sir name, date of birth or any other field, students can complain to the corresponding schools in which they are studying. The hall ticket/admit card must be taken to the examination without fail. If the candidate fails to carry the admit card, he/she will not be allowed to attend the test. Carry the admit card to the academic examinations for each and every subject. Students can check the WBBSE Madhyamik Hall ticket 2019 downloading process from the following. On the homepage, ‘Madhyamik Admit Card 2019 download’ link will be activated.